Coleus — named the annual of the year for 2015 by National Garden Bureau — may conger up visions of Victorian or Grandma’s gardens. But don’t be fooled, today’s coleus varieties have come a long way with brilliant choices for shaded or sunny spots with ruffled or frilled foliage, solid colors, splashes, blotches, streaks, flecks, margins and veins. The wide and exciting range of coleus varieties available should nicely augment anyone’s planting palette. Raising coleus from seeds is relatively easy. Seed strains offer uniformity and may include mixes or consistent coloration with identical plants. Seed packets can be quite affordable and a wide range of coleus varieties available from seed vendors. Time seed sowing to be 8-12 weeks before the last frost date. Sow seeds in at least three inches of growing medium (maintain at 70 degrees F) and seeds should be sown on the surface as they require light to germinate. Well-timed, even watering, misting (for humidity) and frequent observation are encouraged. 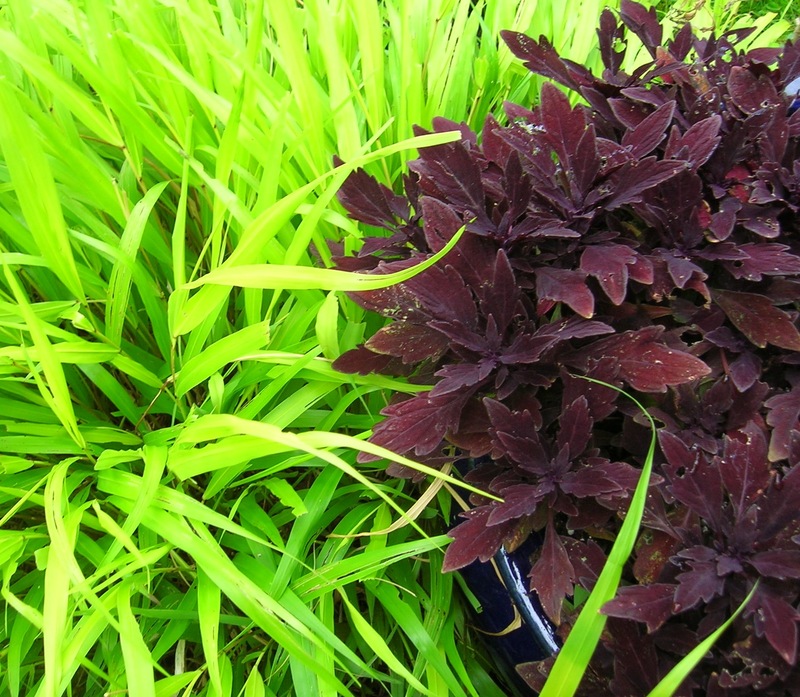 Overwintering coleus plants as houseplants is an option although temperatures near 70 degrees F are required. Rotate plants and pinch back as needed to maintain form. Consider grow lights to provide adequate winter lighting conditions. All coleus have excellent container potential if they are given adequate well-draining soil mix, reasonable nutrients and the proper sun exposure to thrive. Avoid windy locations as coleus can be prone to breakage in extreme winds. Slow release fertilizers are recommended for your containers although half strength liquid fertilizer applied every 2 weeks over the growing season should be sufficient. Coleus do not show their best coloration if over fertilized so be conservative and consistent. You may want to consider water retention additives to help alleviate some watering needs, particularly in sunny locations. Drainage is vital so consider adding additional drainage holes as needed. The container style, color and ultimate placement should also be considered in advance. Coleus filled containers, if moveable, allow for instant color as they can be positioned as needed and used to add color, provide immediate interest and accent areas of the garden, deck or patio. Coleus certainly has the potential to be included in hanging basket arrangements. Some of the trailing selections are ideal for the edge of an elevated container while larger varieties can be utilized for a strong foliage contribution in the center of the basket. Consider watering needs as coleus are naturally thirsty and a hanging basket can be one of the most challenging situations in terms of moisture retention and associated watering needs. Wind protection is also warranted. Coleus may become stressed by lack of heat and moisture. Excessive or inadequate moisture may lead to challenges with insects or diseases. A healthy coleus plant is the best defense against these challenges. Slugs, snails, spider mites, mealybugs, whiteflies and occasionally aphids may be challenges under certain conditions. While there are few fungi, bacteria and viruses that affect coleus, there may be occasional issues of stem rot, root rot or downy mildew which all have a direct relationship to moisture inputs and associated growing conditions. Relocating the plant, pinching healthy cuttings for re-establishment or removing the plant might be options to consider. Healthy, young plants will frequently outgrow some of these challenges if properly “encouraged” or may never exhibit problems because of their vigor.